• Communicate its goals and objectives systematically and clearly to all students. • Offer programmes that are consistent with its goals and objectives. • Obtain feedback from students on the initiation, review and redesign of programmes if and when necessary. 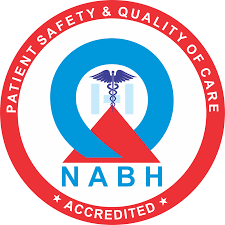 • NABH & NABL accreditation obtained, on process of getting NAAC Accreditation for quality IN teaching programmes. • Facilitate effective running of the teaching – learning programmes. • Implement a well – conceived plan for monitoring student progress continuously. • Ensure that the student assessment mechanism is reliable and valid. • Ensure sufficient and well – run support services to all students.